A good product design is off course a unique one, with a fine amalgamation of design and functional features clubbed with extraordinary surface finishes, resulting from sophisticated manufacturing processes. 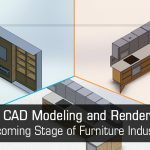 These aspects are most often incorporated and thought of right during the conceptual design stage to accommodate early amendments using 3D CAD modeling. However, this is just not it for engineering design firms. Complying with safety and performance characteristics for innovations is the need and end result. Beginning with an end in mind in such cases can prove extremely helpful in delivering excellent product designs. Walking this path with an end result centric approach, the foremost step for product design engineers is to deal with the fact of understanding and knowing what the customers want, need to deliver enhanced features, required design amendments, and most importantly to be able to stay competitive in the markets. 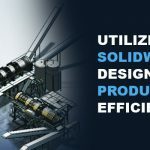 Abiding by all this, design engineers most often than never, face a challenge in determining the costs and maintaining the quality that to delivering the product in market at a short notice. •	Will the innovations in design be able to satisfy functional requirements and be user friendly? •	Is manufacturing of such a product a realistic task? •	Will the timeframe permit to have such innovations and allow the investments to be recovered? •	How well can the end buyers accept such amendments? •	How successful will it be in launching against other market players’ presence? When you read these questions, they more or less focus on the end results of each of the stages, be it design, markets research for customer need or the fabrication process. All these stages necessarily fall in the journey of achieving the better end goal of delivering a sustainable and well-performing product design. Other than this, several other features such as appearance of the product, functional aspects (in terms of serving the end user right way), product durability and usability and above all maintaining the cost factor are specifically taken care of during the design evolution stage. However be the current approach, the need to imagine the future physical product and validating the designs before manufacturing doesn’t come without a 3D model. It allows the designer to validate and confirm his new product design and innovation through multiple design parameters and testing each of them with simulations that consider real world conditions. 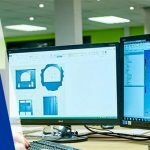 3D model seamlessly collaborate the design and innovations by allowing the designer to experiment with various changes and customizations and help communicate design intents with the customers and suppliers. It quickly allows modifying the designs as per the change orders received downstream the supply chain, thereby reducing the lead time. 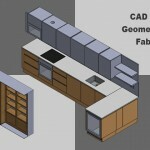 In addition to design development, 3D modeling allows to validate and conform to the safety and performance standards. It allows the designer to have the insights of the product performance in real world situations to amend the design dimensions, materials and other features. 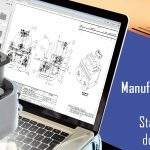 It can develop the fabrication drawings directly from the solid models, thereby eliminating the effort of creating and maintaining separate documents. 3D modeling approach for product design allows the designer to add value to the new product designs by incorporating and validating the innovations early during the design evolution stage. It essentially delivers a means to understand the design requirements, features and manufacturing needs way in advance and explains the design intents through better visualization and animation for catalogues and brochures to commercialize the product.